Blog — Love is Photography LLC. Beauty exudes from every pregnant and laboring woman. It's really what makes these images come alive, in my opinion. All of the emotion, the love, joy, fear, anguish. It's all there at the surface and I am in awe of it every time. When I first met Amoria, she was beautiful, young, bright eyed and so fun to be around, always has been. The past three years has been a whirlwind for the both of us, and we've gotten to see each other through it all. The day she announced her pregnancy; excitement, joy, anxiety all flooded in at the thought of Amoria becoming a mother. I re-lived that time in my life when I was newly pregnant for the first time. Such an incredible time in life, and the beginning of a gorgeous transformation. 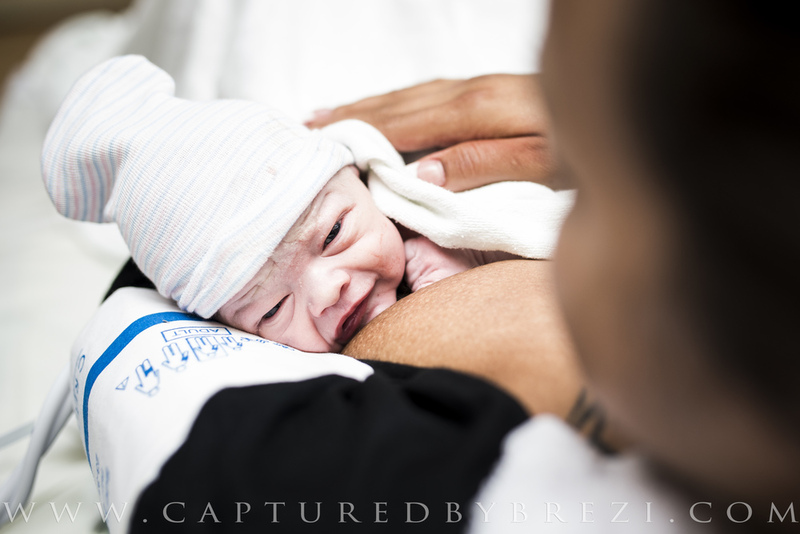 Being able to document her pregnancy and birth was an absolute joy. I have had a client become a great friend but I had never had a friend become a client, needless to say I was nervous. Nervous because as her due date approached, I'd need to fight the urge to cry at the thought about what that moment would be like when she would meet her son for the first time. How could I photograph her birth if I am crying?! The day came, like I knew it would, like we had been waiting for so patiently for the past 9 months. I awoke to a text saying that she was heading to the hospital and was in labor. I arrived to the hospital mid morning to a typical cheerful Amoria. Talking and laughing, listening to music like it was a party. Her birth team, mother and friend there were an amazing support to this first time mama. As the morning went on, she came to a point in her labor where she was no longer able to chat. Those lovely labor pains grew stronger and stronger, and she put into practice what she had learned. She maneuvered from the bed, to the ball, to the tub. It was a blessing that she able to rest in between contractions, since she had been awake nearly all night. Our bodies will sometimes give us a break to rest just before we need to get over the last stretch, and sometimes the hardest part: the birth. Time drew closer to push, and Megan, the midwife came in to help. The midwives here are INCREDIBLE. She was a positive light in the room. Offering light touch, essential oils, and a comforting voice. With the support of her mother, friends and birth team, Amoria was able to have the natural birth that she had been dreaming of. Eli Matthew, born 1:13 pm October 19th. Weighing a whole 6 pounds, and 1 ounce. I managed to capture some lovely images for her, even as the tears welled up in my eyes. "He's here! . . I did it! . . I'm your mommy. . I love you so much!" In an instant, she went from a woman, to a mother. And what an incredible mother she will be. I can't wait for what lies ahead for her. If you like these images, and would like to see more, you can also find me on facebook , and instagram . I would love your support, sharing birth stories, and images from those accounts is always welcome. The more birth images are seen, the more people can start to understand that birth is so beautiful. It's unique each time, and it doesn't have to be perfect. If you are interested in learning more about my services, you can contact me here.